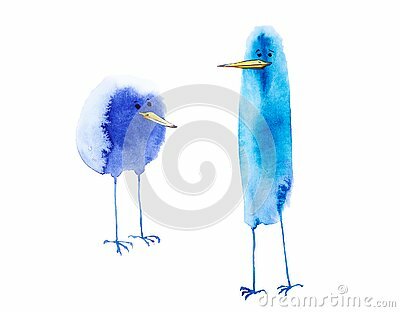 Watercolor illustration of serious and funny abstract birds, childish, set. Printing, design elements. Isolated on white background. Hand drawing.Watercolor illustration background stripes.